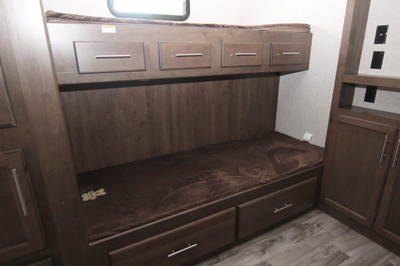 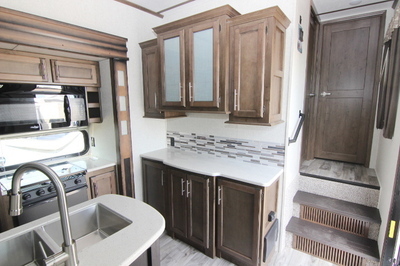 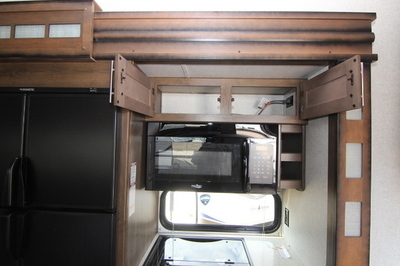 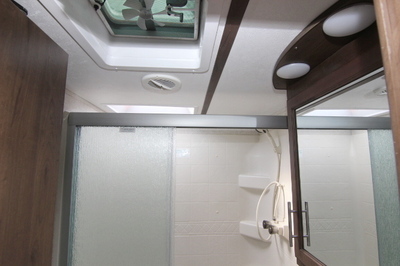 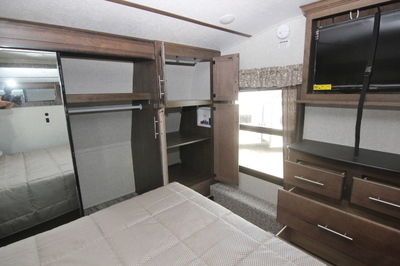 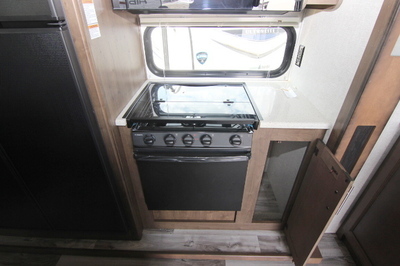 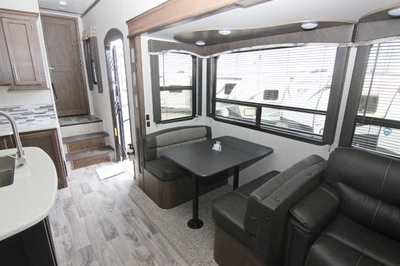 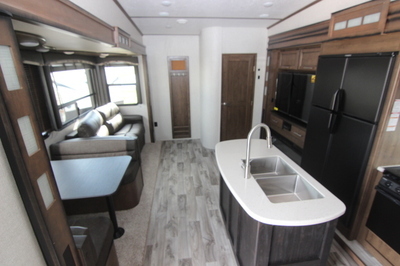 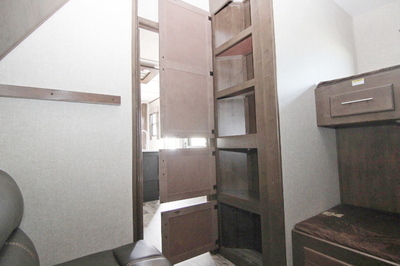 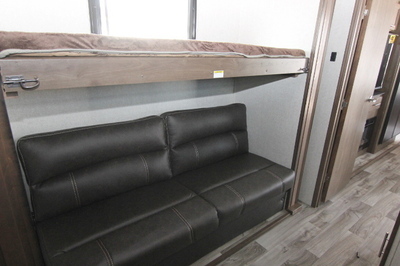 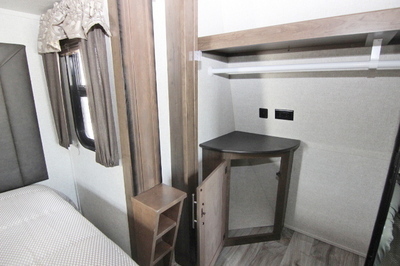 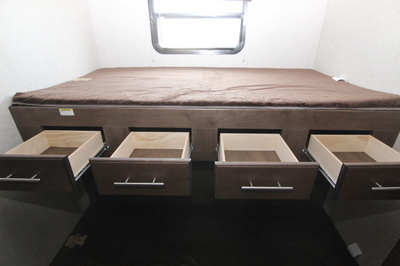 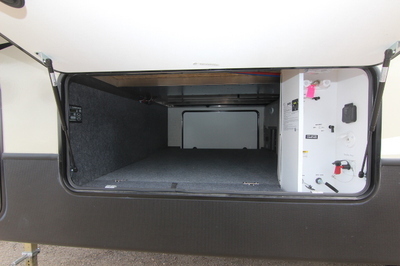 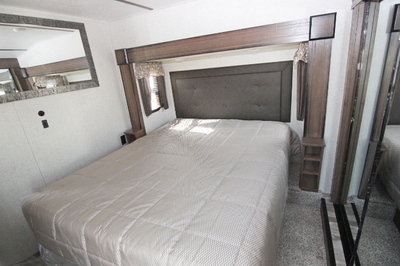 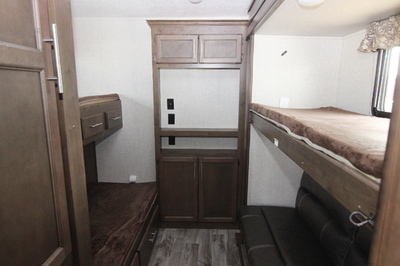 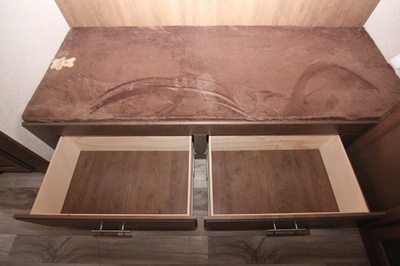 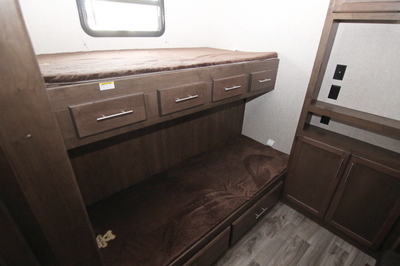 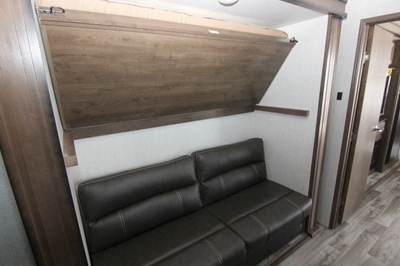 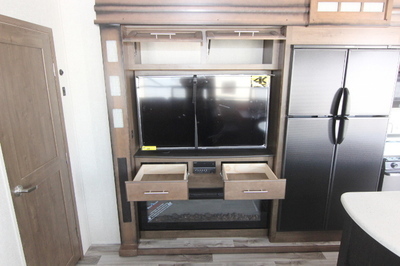 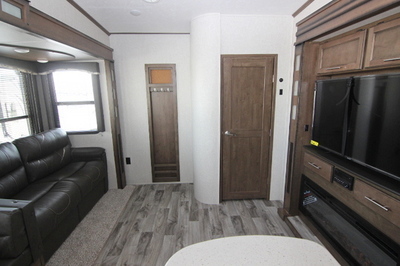 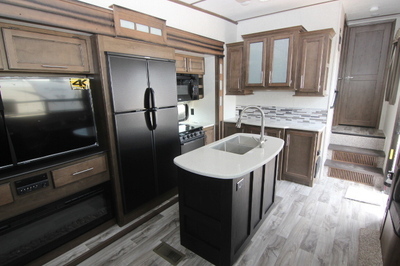 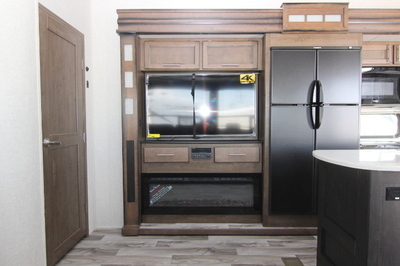 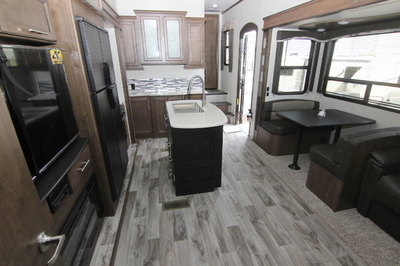 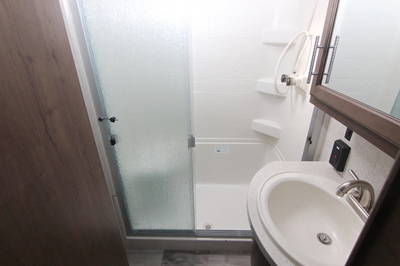 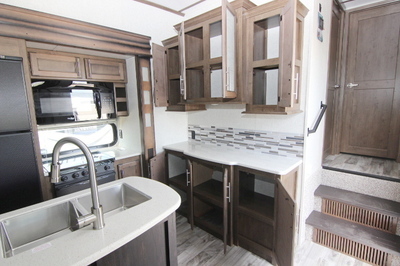 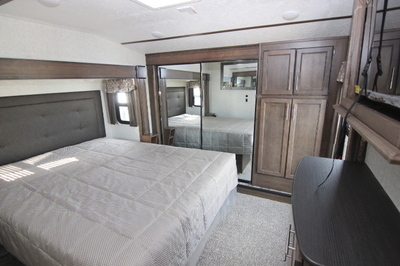 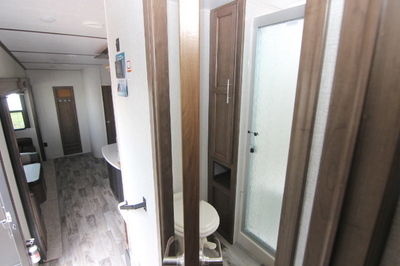 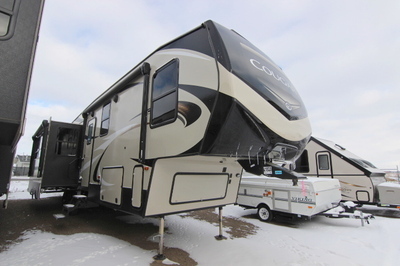 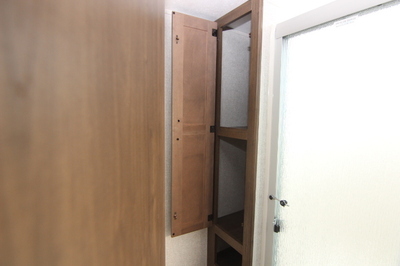 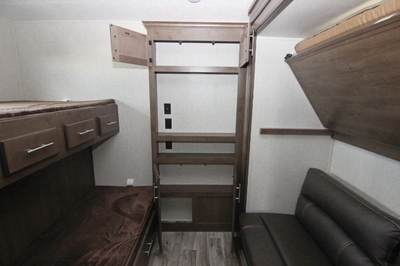 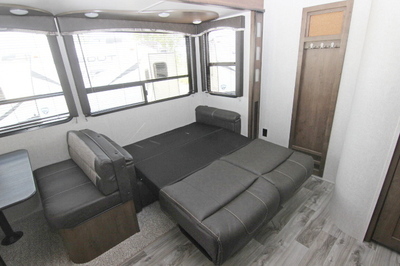 Packages and Upgrades Included with this Unit:- Booth Dinette,Electric 4 point Leveling System, 2nd Power Awning, Tri-Fold Sleeper Sofa, Queen Bed, Outside Kitchen, Camping In Style Package, Anniversary Package, Comfort Package, Deluxe Entertainment/Technology Package, Polar Package Plus, iN Command Pro w/Global Connect. 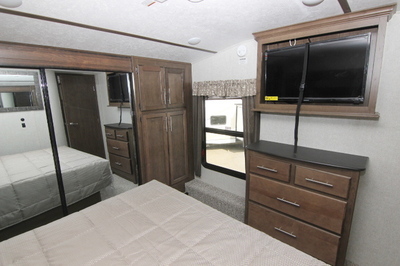 iN Command Control Systems:- iN-Command Control Systems usher in the next generation of campsite control, acting as the central hub of operations to control and monitor an array of systems in your RV. 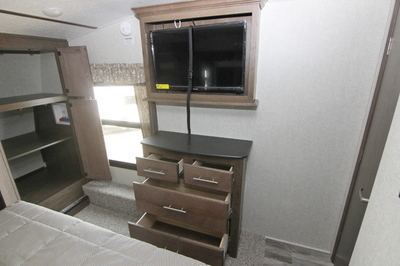 The touchscreen Display Commander (DC) gives you a full range of control and monitoring without the need for traditional switches, In addition to the DC inside the RV, iN-Command is also accessible via a free and fully functional app available on any smart device. 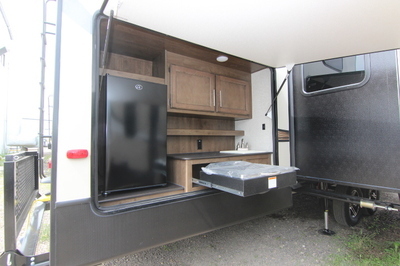 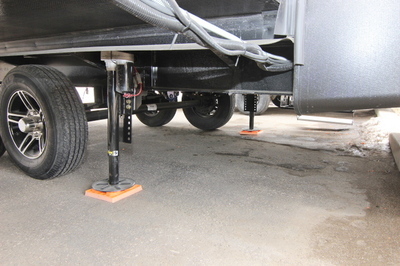 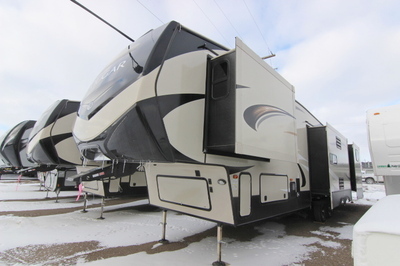 The iN-Command app gives you the ability to keep an eye on the moving parts of your RV from outside as you adjust them at the campsite.